In the age of ‘breaking news’, ‘breaking first’ and ‘super-exclusives’, authenticity of news and following basic journalistic norms is hardly given any importance. Coupled with this trend is the sense of urgency that the advent of social media has brought with itself in sharing news and views. 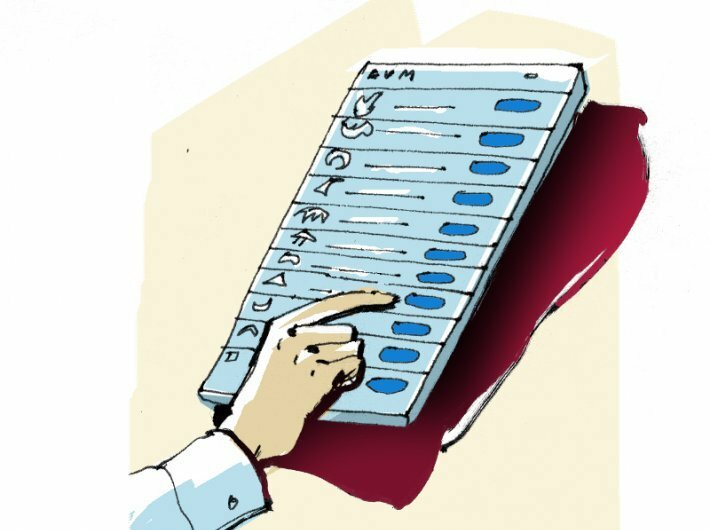 On Tuesday morning the Election Commission of India (ECI) was to announce the polling dates for 224 assembly seats in Karnataka. But before the ECI could announce the dates, some social media ‘veterans’ and ‘we are first to break this news’ screaming news channels announced the dates on their twitter accounts and their channels. First among these ‘news enthusiasts’ was BJP’s IT cell head Amit Malviya who tweeted the date of polling and counting before the EC made a formal announcement. In a tweet, which he deleted later, he announced the dates for assembly elections but got it completely wrong. Following the uproar over social media over Malviya’s indiscretion, the BJP IT cell head in series of tweets clarified that’ “Times Now is Showing” the news. Here an important question that needs to be asked to the BJP IT cell head; who for more than a week now, has been raising concerns about ‘data leaks’. He needs to be asked that is he so ignorant about the basic rules and laws that he chose to announce dates following a news channel brief, when election commission has not officially announced it. Was he not aware that he was invading the prerogative and rights of a constitutional body by announcing the dates before the latter would officially do it? According to a Business Standard report, Chief Election Commissioner (CEC) OP Rawat had said that the matter will be investigated and “actions legally and administratively befitting will be taken”. Rawat also added that, “Certain things may have leaked for which Election Commission will take appropriate action. While Congress leaders like Jyotiraditya Scindia, Randeep Singh Surjewala , and Milind Deora attacked BJP and Malviya for leaking the election dates, several journalist also sought a strict action against the BJP IT cell head and erring news channels. Journalist Barkha Dutt tweeted, “Shocking that BJP IT cell knew #KarnatakaElections2018 dates before official #ElectionCommission announcement. We are forced to question the sanctity of the EC & our democratic tradition of free & fair elections. This is absurd & unprecedented! Concerned authorities must explain!”. She added, “The sanctity of #KarnatakaElections2018 as well as the authority of the Election Commission are both undermined today with a BJP functionary & a couple of channels announcing poll dates before the EC did. Whats going on? If Election Commission wants to reclaim authority it needs to issue notice to all those- party functionary as well as channels - that were able to out #KarnatakaElections2018 poll dates before the CEC did. Unprecedented”. Apart from Malviya, news channels that choose to announce the dates before election commission can also face strict actions, as hinted by CEC.